Clerk of the Course Andrew Cooper was optimistic that racing would go ahead at Sandown Park this afternoon and, at the time of writing, no inspection was planned at the Esher track. There are no problems expected at Leopardstown either for their eagerly-anticipated two-day Dublin Festival. The ground is likely to be soft at Sandown which will suit champion hurdler Buveur D’Air who looks to have a relatively simple task of returning to winning ways after his shock defeat in the Christmas Hurdle last time. I am not a fan of the framework of the race – how can a duel champion hurdler just have a 6lb penalty in a listed contest? Only five go to post for the Grade 1 Scilly Isles Chase, but it is a small but select field and preference for Vinndication (2.25) is marginal over Lostintranslation. The selection is unbeaten in six starts and it is no coincidence that all those wins have been gained going right-handed. The Kim Bailey yard have not been firing on all cylinders, but they did have a welcome winner on the flat 10 days ago and the vote goes to BetVictor’s 2/1 market leader. I hate deserting Lostintranslation (9/4 with BetVictor) but he has never raced right-handed before in nine starts under rules and the JLT Chase at Cheltenham is likely to be his primary objective. BetVictor are betting five places on the 3m Handicap Hurdle and I would be disappointed if Keeper Hill (3.00) was out of the frame for Alan King. The selection is 9/1 with BetVictor and is only 5lbs higher than when winning at Warwick on good ground last time. Softer underfoot conditions hold no terrors. The hope is that Rolling Dylan (3.35) encounters genuinely soft ground for the first time this season in the 3m Handicap Chase. 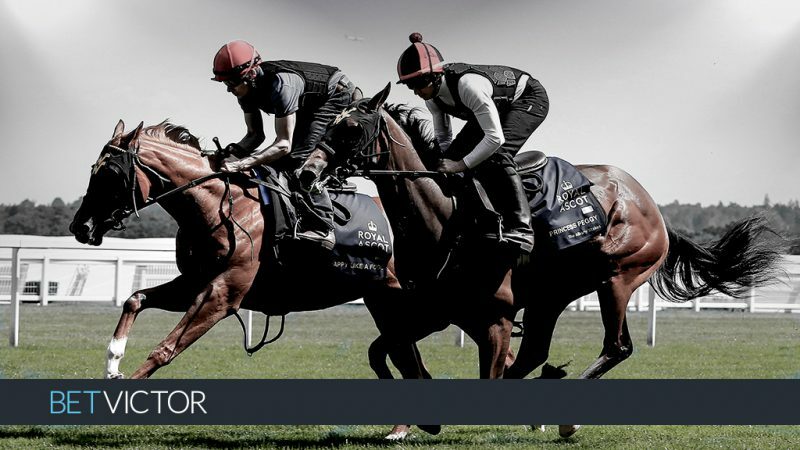 The selection – 12/1 with BetVictor ew 5 places – has run three good races in defeat this season on ground quicker than ideal and I feel he could easily make up into a Grand National candidate next season. He gets the each way vote. Johnbb (4.10) carries 12st 1lb but I am convinced he is better than his current handicap mark of 126 and he can defy his welter burden for Tom Lacey. The selection was only beaten 4l by Birchdale at Warwick and the latter went on to Grade 2 success at Cheltenham last week. Yes he may have had luck on his side, given Brewin’Upastorm did appear to be going slightly better when coming down at the last, but the pair were well clear and it was a terrific run. I’m looking forward to seeing Apple’s Jade (1.25) revert to the minimum trip in the Irish Champion Hurdle and feel she will be tough to beat in receipt of 7lbs from the geldings. In the Grade 1 Arkle Chase I feel Le Richebourg (3.45) can justify favouritism (7/4 with BetVictor) and go to the top of the market for next month’s Arkle Chase on the opening day of the Cheltenham Festival for which he is currently 6/1 with BetVictor. On Sunday, I am keen on the chances of the mare La Bague Au Roi (3.00) in the G1 Novice Chase over 2m 5f again with the 7lbs mares’ allowance. The British raider (2/1 at BetVictor) is unbeaten over the larger obstacles and her fluent jumping should be an asset around these stiff fences. Road To Respect (3.35) didn’t stay the Gold Cup trip of three-and-a-quarter miles on soft ground back in March, but conditions should be ideal for Sunday’s Irish Gold Cup and he can bounce back from what was, arguably, an unlucky defeat in the Savills Chase over C&D back in December. He is 5/2 with BetVictor and gets a confident vote.